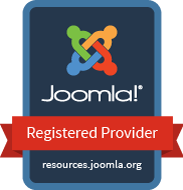 Finally after much effort the GEO Radius Search extension for Joomla has reached a major milestone of stability and release of new user requested features. This release has been a major achievement for us with a complete redesign of the code, bug fixes, performance enhancements and more. We tried to release this on several earlier deadlines but each time we needed to go back to the drawing board since in the lovely world of software development when you fix one thing it often breaks something else and of course with the moving target of the CMS and Google libraries and Extensions changing these often makes the process challenging.